Guide price 575,000 - 600,000. Freeman Forman are delighted to present this stunning chain free two double bedroom apartment with its own large private terrace and a share of the freehold. 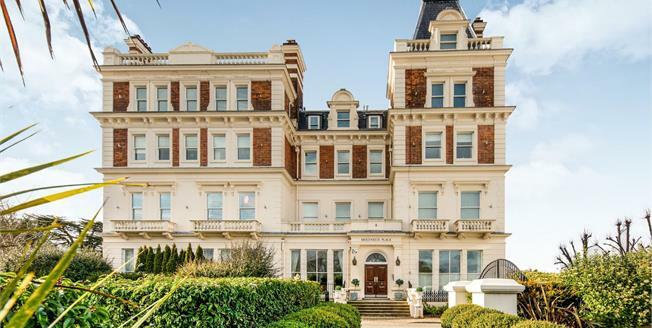 The property forms part of an exclusive award winning secure development, in an enviable central location overlooking the Tunbridge Wells Common. The Town Centre and The Mainline Railway Station are a short walk away. The property is situated behind secure electronic gates with an entry phone system, and this particular apartment benefits from two underground off road parking spaces. The development boasts a very impressive communal lobby with marble floors and high ceilings, a residents lift and CCTV system. The approx 1400 sq ft of accommodation includes an entrance hall, cloakroom, kitchen, utility room, master bedroom suite with walk through wardrobes and en-suite shower room, guest double bedroom with en-suite bathroom, and a spacious living room with double doors that lead to the private terrace. Further information regarding the lease and service charge is available via the vendors sole agent Freeman Forman. A viewing of arguably one of Tunbridge Wells finest apartment buildings comes highly recommended.